Chisholm Heights apporte le meilleur des deux mondes dans les hébergements à Wangaratta. L'emplacement central de Wangaratta, combiné à la vue pittoresque sur le front de la rivière et à l'accès facile à la rivière King, en fait un refuge paisible. Le Chisholm Heights propose un hébergement indépendant dans un cadre paisible et privé niché dans le quartier central des affaires de Wangaratta, à seulement 200 mètres du bureau de poste. Convient pour les clients d'entreprise travaillant dans la CDB ou les vacanciers. Le prix indiqué est pour 1 ou 2 en chambre Queen 170 $. Coût supplémentaire pour ouvrir la deuxième chambre de 50 $ par adulte et 10 $ par enfant. La cuisine complète comprend un lave-vaisselle, un grand réfrigérateur, un four, une plaque de cuisson et un four micro-ondes. Confort d'une maison chaleureuse avec chauffage hydronique en hiver, coin salon, chambre principale et salle de bain, ainsi que système split. Perfect location in the centre of town but with river views that make you feel like you are in the country. Rooms are warm, clean and comfortable and the living area is a very spacious. Everything is there to make your stay enjoyable right down to the little things like chilled beer glasses, milk in the fridge and turning the heaters on because they knew we were arriving late. Property spacious, very clean and warm. Every thing that we neded plus!!! Extra towells, extra toiletries, extra milk. Great location and a warm welcome from our host. Will certainly return. The tranquility of the river view, combined with the occasional but serene trill from the abundant bird life make this an inviting retreat at the end of each day. 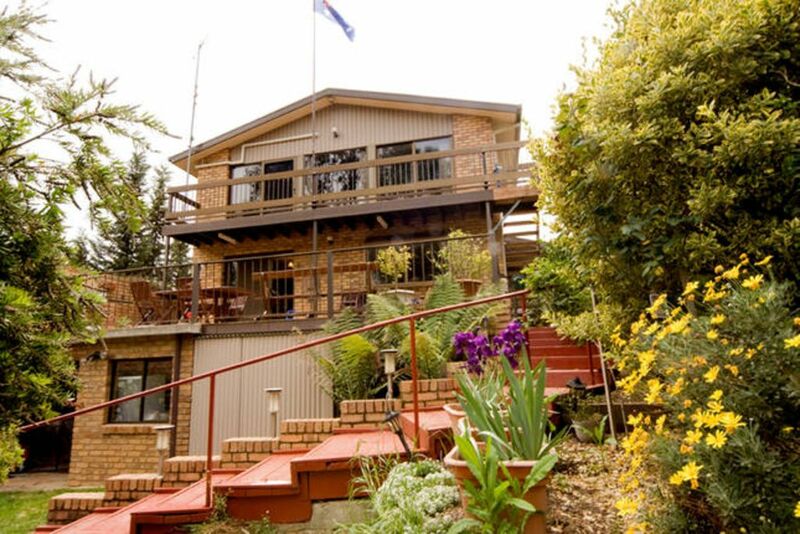 We really enjoyed out stay at Chisholm Heights and could happily have stayed on longer than the 3 nights we spent there. Marlene is a great host and really goes out of her way to make guests feel welcome and valued - example, tea and coffee provided, milk in the frig, a complimentary packet of Tim Tams, high quality linen, etc. All facilities are in the unit - full kitchen including dishwasher, washer-dryer, cable TV, etc. The unit is very spacious and the setting is idyllic on the edge of the river and bushland - yet only a minute's walk to the main street. We would stay here again in a heartbeat. Thanks Marlene and Denis. Thank you Denis It was also delightful to meet you and have you stay at Chisholm Heights. You left the apartment so neat and tidy and I was very grateful to find the dishwasher going as I have a cleaner who helps me but she was away on holidays. Hope to see you both again.